In 2018, there seems to be a common notion that radio is a medium of the past and holds little, if any, significance in the music industry today. 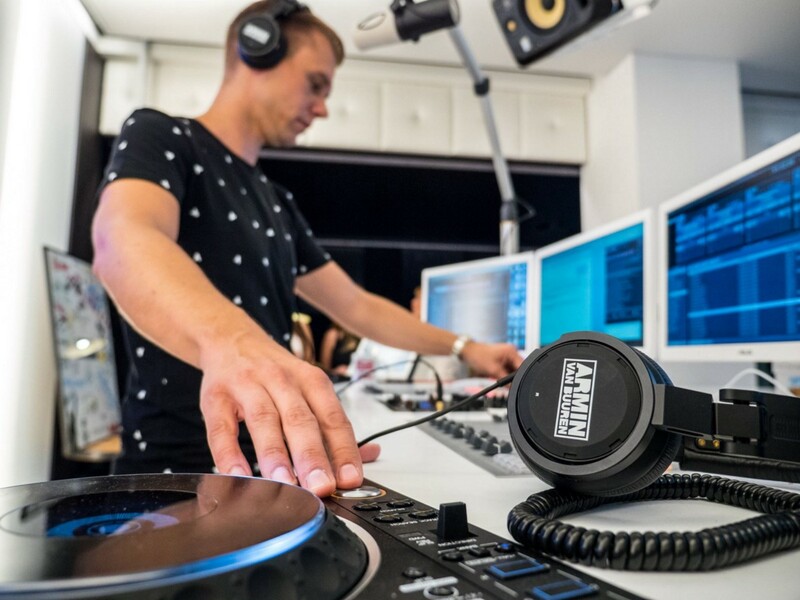 Contrary to popular belief, radio plays a hugely relevant role within the industry and we’re sharing 3 reasons how artists can benefit from having a radio show. The music industry is constantly changing and evolving and the role that radio plays as a transmitter of music has adapted and changed with the times. Radio now represents a form of connection by way of exposure, exclusivity and curation, which means that there’s no better time to utilise all of the opportunities that radio shows have to offer. If you’re a music artist, keep reading to see our three reasons why you should be using a radio show to establish and elevate your position in the industry. Of all media platforms, studies have shown that radio is the leading reach platform with 93% of people listening to AM/FM radio, which is higher than TV, PC, smartphone and tablet use. Additionally, 93% of Generation Z listen to radio 10 hours per week or more. Radio provides convenience, flexibility and familiarity for listeners, which can also present artists with a unique opportunity to get in front of a wider audience. Many people tune into radio stations because they’re familiar with and enjoy the type of music that’s being played, which in turn affords a ready-made setting where they can be exposed to new radio shows of the same genre. Additionally, with today’s Internet and web platforms, it has become incredibly easy to reach people not only locally but internationally as well. Syndicated radio also allows artists/DJs major weekly exposure to territories that they may only get to visit and play live once a year — if that. With new technologies being developed regularly, it’s become fairly simple for anyone to produce and share their own music. Because of this, the music industry has arguably become more saturated than it has ever been before which means that it’s also becoming increasingly difficult for artists to have their music heard. Radio shows create different means of being noticed, as not everyone has the capability to be aired — only artists of a certain calibre, who are appropriate for each station’s audience, are featured — which ensures quality content and sustainable listenership for the station as well as the artist. Curating and delivering consistent, quality shows to a specific target audience on a regular basis is one of the best ways for an artist to establish brand integrity in the music industry. Anyone can throw together a playlist and stick it up on Spotify or Soundcloud, but there’s a difference between this and someone who takes the time to carefully curate a show that will resonate with listeners. This is why radio shows continue to be a player in the music media world. Additionally, a show that’s well branded and properly marketed can help any artist stand out from the masses. A study recently found that a high proportion of Internet radio consumers were actually engaging in social media activities in combination with their radio use, so pushing the show through this medium also enables further awareness and another way for listeners to engage with the artist. With well-curated content, a branded show image, a little bit of marketing and a consistent delivery schedule, developing a radio show is sure to help any artist have their voice heard amongst the masses. If you’re interested in connecting or learning more about The Radio Department, feel free to reach out to us by email at info@theradiodepartment.com. Delivering world class programming to over 350 of the best FM and Digital platforms around the planet, every single week.